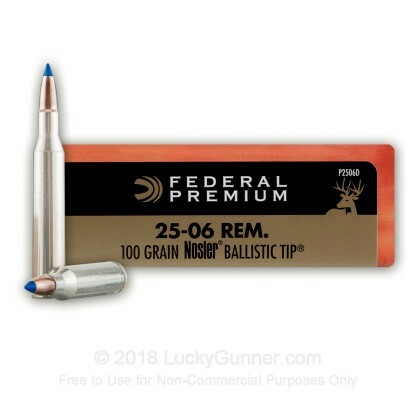 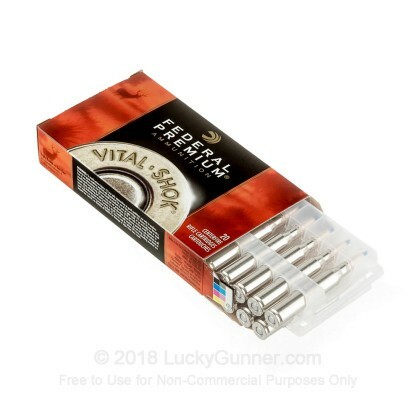 Suitable for boar and deer alike, this .25-06 Remington ammunition from Federal's Vital-Shok series delivers flat trajectories and excellent mushrooming in targets. 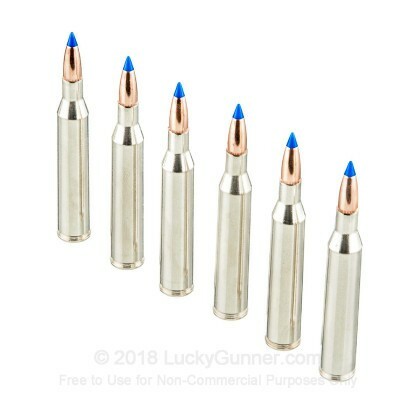 These cartridges feature the Nosler Ballistic Tip, a hunting bullet with a polymer tip designed to improve accuracy and initiate expansion. 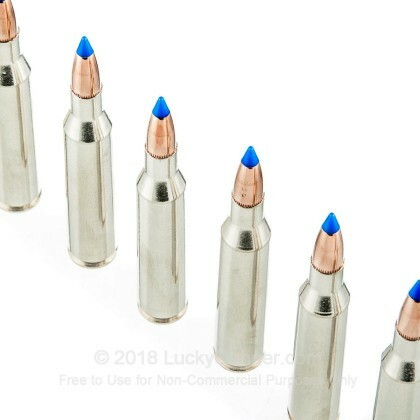 Upon contact with the target, the tip pushes the tapered jacket and lead core outward, aided by the heavy jacketed base at the bullet's rear. 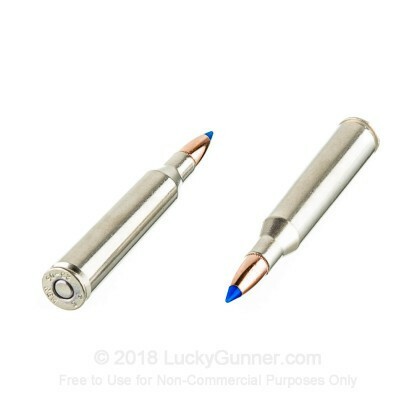 This produces the highest chance of a clean kill with one well-placed shot. 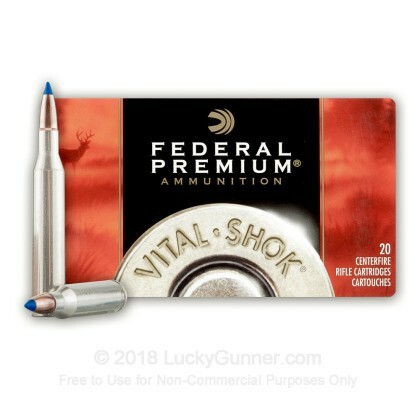 Federal Vital-Shok ammo is loaded in Anoka, Minnesota using non-corrosive primers and brass cases.